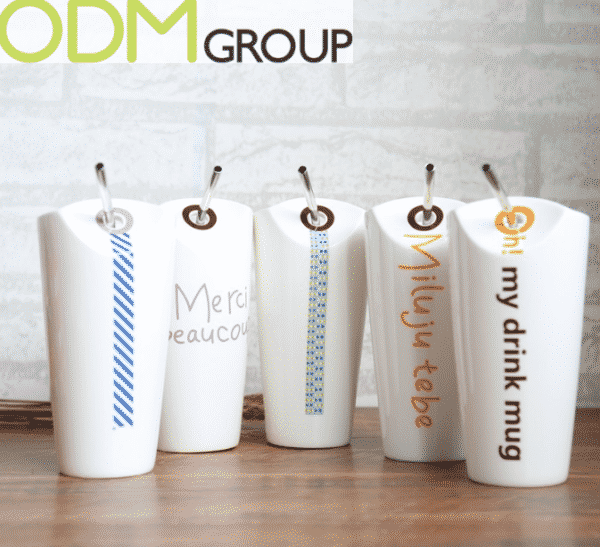 We are glad to write about some great ideas for promotional ceramic mugs. Not the standard chalkboard mug or coffee cup, but ideas and details that could make the difference. 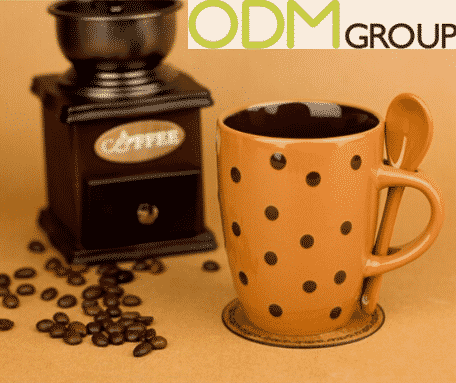 Mugs and cups are very good promo products for a vast range of companies, from food to drinks and from logistic to finance. Indeed, they are always welcomed and easily customizable. However we also believe that the mug promo market is now saturated. Why not adding a personal touch with these ideas to your next promo cup then? Starting a day with a good coffee is a nice beginning of the day but a stylish cup could make it even better. 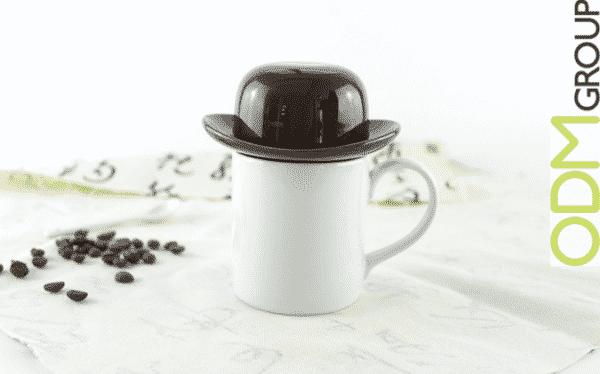 And iff your customers are real British, you can’t miss this bowler hat mug. 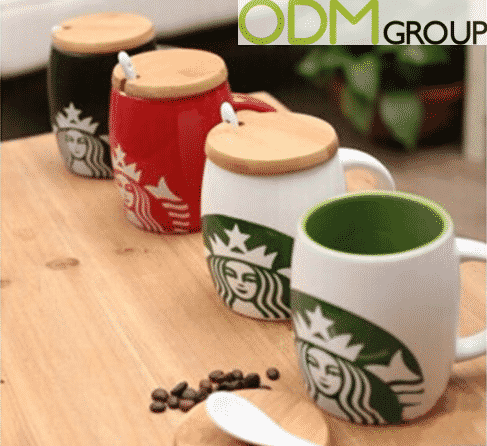 This is just perfect for hotel chains, cafes or as part of your client’s mug sets. The design of the cup is minimalistic and standard, almost boring. Our curiosity however tell us that, that lid looks peculiar and it can’t be just an empty lid. Indeed the bowler shape hat hides a second layer in the shape of a cowboy hat. The second hat is concave on the bottom, which makes it perfect to store sugar or some cookies. As already said, it is an excellent promo idea to be used to serve some hot drinks. Your client will receive this very British looking mug, equipped with drink, lid to keep it warm, sugar or some finger food and an extra little cup. We are sure someone will be pleasantly surprised. Two main adjective to describe this wooden lid cups: design appealing and practical. They would be perfect for some fancy local were people have enough time to enjoy their drink, pay a bit more attention to the surroundings and the peculiar cup. They are for sure, one of those ideas made to advertise, to take a photo of and publish in some social. These stylish wood item gives a touch of class to the mug. It’s is a wood lid inclusive of a lateral opening for the spoon. This permits the spoon not to slip away or make noise while moving around. In addition, let us consider the fact that wood it also an excellent material for coasters, it would be a nice idea to modify slightly the lid or the mug to suit this practical function. Result: a multipurpose wood lid mug. The ceramic cup ideas here above are also a great inspiration for design and customization. The two given models are both fully customizable in colours, logo and shape. The area is not small at all and it is therefore up to the client to exploit it at the best. The first mugs have a custom logo on the front and a small printed brand name on the back, near the handling. 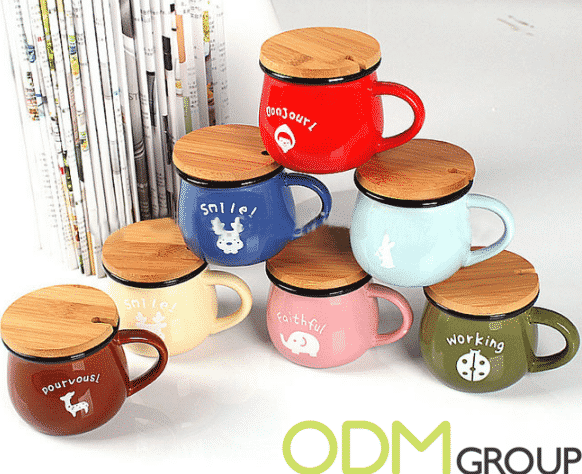 The second example of mugs displays a cute short message with animal illustration. People are lazy, we know it. And they will love this idea. All you need to do is raise your arm, there isn’t even need to tilt the cup anymore and risk to spill liquid on your shirt. Minimalistic and modern style, the white ceramic cups suits a corporate environment just perfectly. Office workers would feel more motivated if they know that the company cares about them. It would therefore be very appreciated to receive such a mug with an additional straw. You either can drink from the cup normally or just raise your arm and use the straw. It is then obvious that this milk carton mug suits a corporate setting, but it’s customizable anyway to adapt any occurrence. The same idea then can be applied in many different ways. Give a look at these marketing promo items here above. The fruit themed mugs are so unique, it would be impossible not to notice them. They all come with a straw that ends in a spoon. They make a perfect idea to target familiess, kids would find them fascinating and parents would be grateful for the practical spoon/straw function. Used in restaurants and bars, they would help you to gain brand exposure and raise value. The next idea for our marketing promo items is silicone. Substitute the handling with a silicone sleeve and you’ll obtain the same effect. As silicone is heat resistant, it would be smart to add a silicone bottom or band to handle the cup. 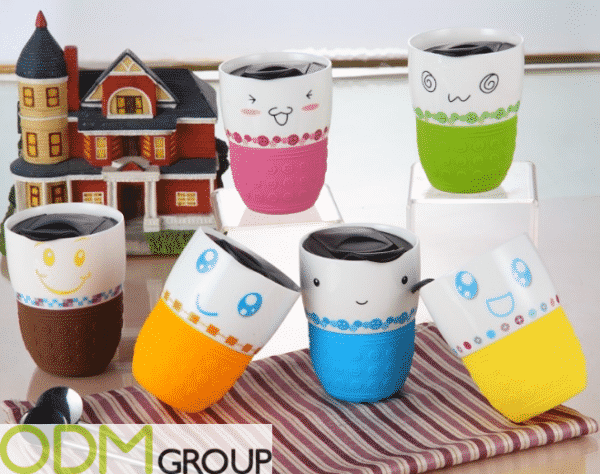 Beside this funny smiles, what we like the most is the silicone half of the promo cups. It comes with a texture made of some dots that make the surface uneven and allows a better grip. The cap on the other hand is studied to be openable and let the consumer drink it directly from the opening and keeping it close otherwise. As alternative, these silicone dressed cups here above. They have a smaller circumference on the bottom that also works for a better grip and the cover is also in silicone. 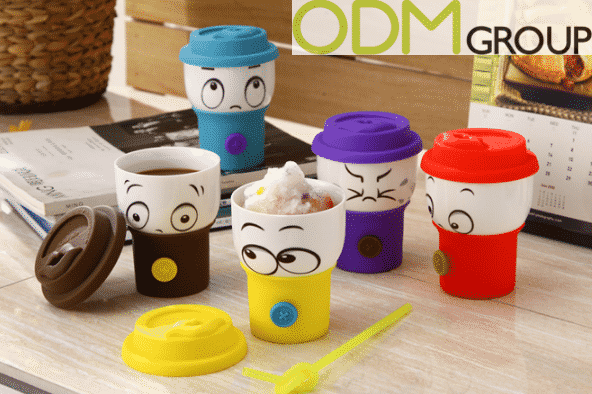 We also suggest them to target families, where kids that will be attracted from the cute design of the little characters and the parents would be reassures their children won’t scorsch their hands and will able to easily open the cap by themselves. Sometimes spoons can be so annoying. You need the spoon to mix but have no idea about where to leave it once done. You either lay it on the table or hold it while drinking. Maybe in that case, a mug with a dedicated compartment could be useful. The concept is easy. Two holes on the handling where to place your spoon when not needed. It would be great as a gift set idea, offering two complementary products. People will perceive a higher value of your promotion or campaign thanks to its practicality and complementarity. 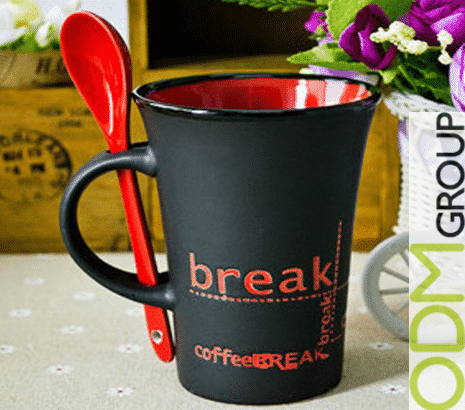 As any other mug, it is customizable regarding colours, shapes, branding and logo and any other requirements. 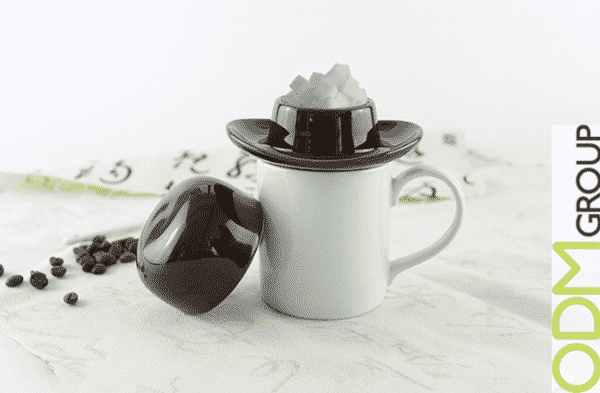 We would then recommend to combine this mug with spoon with other ideas, to propose the customer something unique that they would like not to miss. A wood lid could be a good match for this for example. 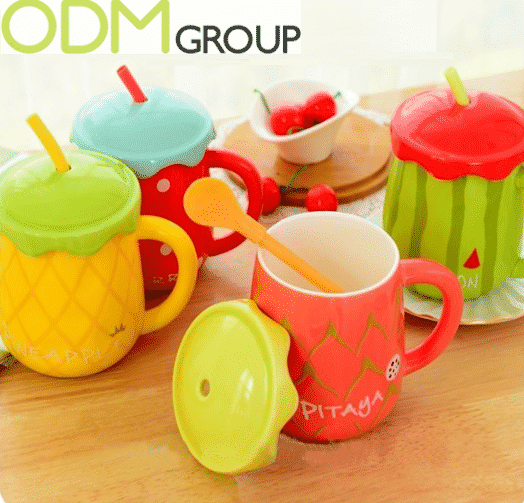 We talked about ceramic cups and mugs as small size marketing promo ideas to be used to have a tea or coffee. But, nobody was forbidden to use them for any another purpose. 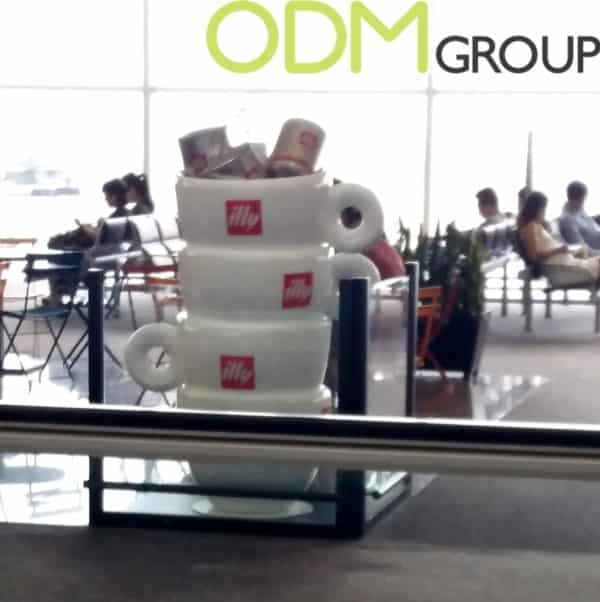 In fact, Illy is advertising with a giant cups POS display. The Italian coffee brand was bored of standard cardboard displays and exhibited this unique one instead. Four stacked Illy branded cups with some plastics of their products on the top. It’s catching and effective. We are sure some passer-by remembered they haven’t had coffee yet and asked exactly for an cup of Illy at the bar. If you are interested in these ceramic products, please don’t hesitate to contact us. We will provide you with our quality sourcing, designing and manufacturing services necessary to help you in your next promotional campaign.